The Expedition 47 crew is getting a new module recently attached to the Tranquility module ready for expansion later this week. The International Space Station residents are also running experiments today exploring a wide variety of phenomena and checking station gear. 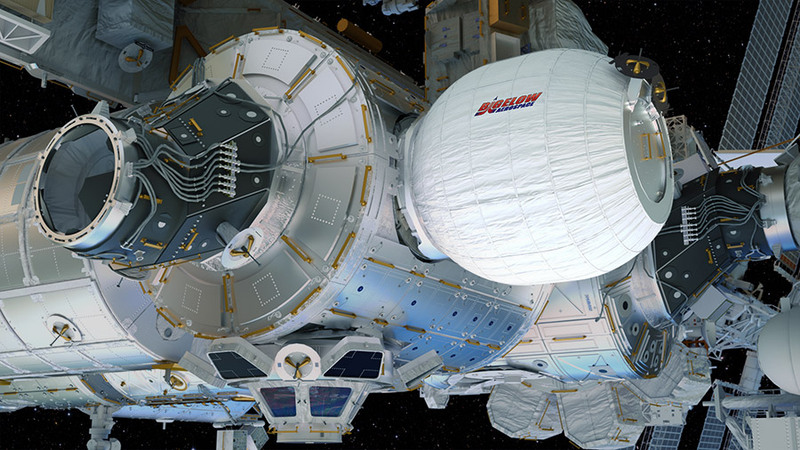 BEAM, or the Bigelow Expandable Activity Module, is scheduled to expand to full pressurized volume Thursday morning. In preparation, the crew is installing computer cables, checking connections and verifying hardware prior to BEAM deployment. NASA TV will televise the BEAM expansion activities live. Crew entry into the new module is scheduled for next week but will not be televised. The Rodent Research-3 (RR-3) experiment was completed last week and the astronauts are cleaning up and inventorying the gear today. During the wrap up work, the crew also collected station air and astronaut breath samples for the Marrow bone study sponsored by the Canadian Space Agency. Some of the station hardware that helps run and monitor equipment and experiments is getting new gear and upgrades. The Microgravity Science Glovebox, which housed the RR-3 activities last week, is being prepared for video equipment upgrades. A new laptop computer is being loaded with software to demonstrate control of station assets from both the orbital lab and the ground.